Made from heavy, durable, blue denim fabric with gold coloured suede-textured brim with gold detailing. Featuring 'CLUTHA GOLD CYCLING AND WALKING TRAIL' embroidered on the front. 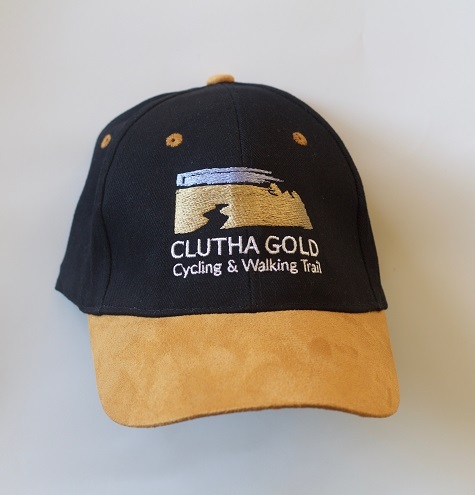 A percentage of any Clutha Gold Cycling & Walking Trail cap purchased goes back to the Clutha Gold Trust towards the maintenance of the trail.